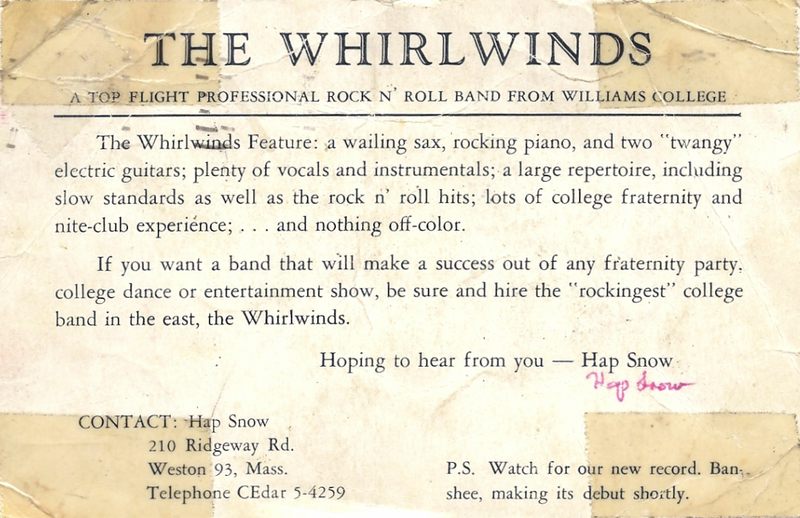 Thanks to Luci Bearon, Art’s sister, for this magical missive from the past. 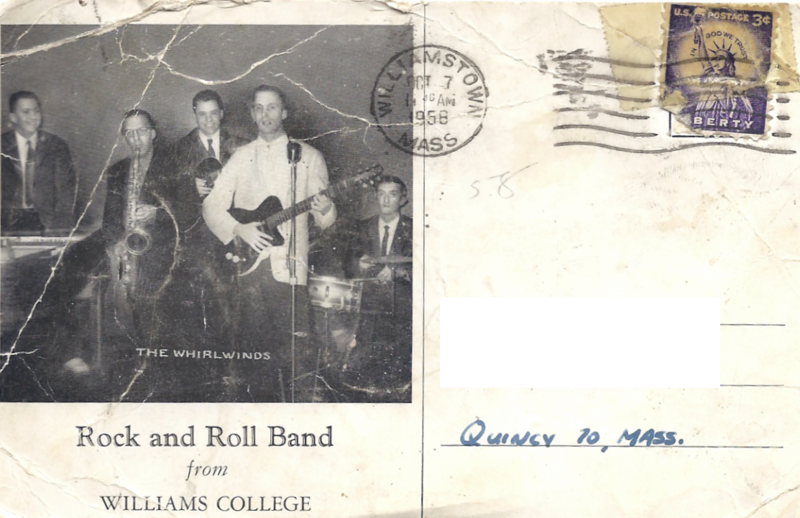 This entry was posted in Band Feature and tagged 50's Rock, Art Bearon, Arthur Bearon, Brad Perry, Hap Snow, Hap Snow's Whirlwinds, Harry Lewis, James K. Snow, Luci Bearon, Massachusetts Rock, New England Rock, postcard, Stefano Torossi. Bookmark the permalink.